Discover your inner artist with uDraw Studio: Instant Artist. Utilizing the uDraw GameTablet, players can finally express their own individual artistic creativity on their game console. Featuring versatile and easy-to-use tools, users can paint, draw, and color anything from simple doodles to intricate masterpieces. uDraw Studio offers the freedom to create spectacular works of art without the hassle of clean-up. This enhanced version of the artistic software package uDraw Studio brings the core functions of the uDraw GameTablet to life on your television. uDraw Studio: Instant Artist offers expansive guided tutorials to teach many of the basics of art and design, as well as a more intuitive interface that keeps art tools right on screen at all times. 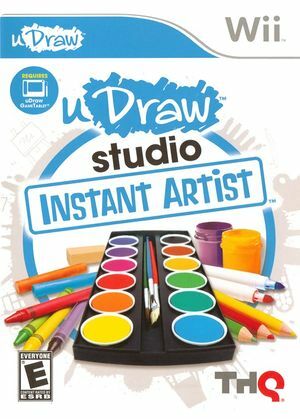 The uDraw GameTablet required by UDraw Studio: Instant Artist is not currently emulated by Dolphin. A real uDraw GameTablet and Wii Remote are required to play. The graph below charts the compatibility with UDraw Studio: Instant Artist since Dolphin's 2.0 release, listing revisions only where a compatibility change occurred. This page was last edited on 14 January 2018, at 12:34.